Today we will work with ZMorph DualPro extruder. This is an extruder that allows multi-material printing and color blending. Zmorph has a dedicated software for it with many great features called Voxelizer however, as usual, we will write things by ourselves. T3: mixing mode. Once we are in mixing mode we can specify the amount of extrusion for the left extruder with the parameter E and for the right extruder with the parameter A. First of all, we want to know the gradient of each path that we want to extrude. For this we will simply add a float variable to our Path class and a setter function. 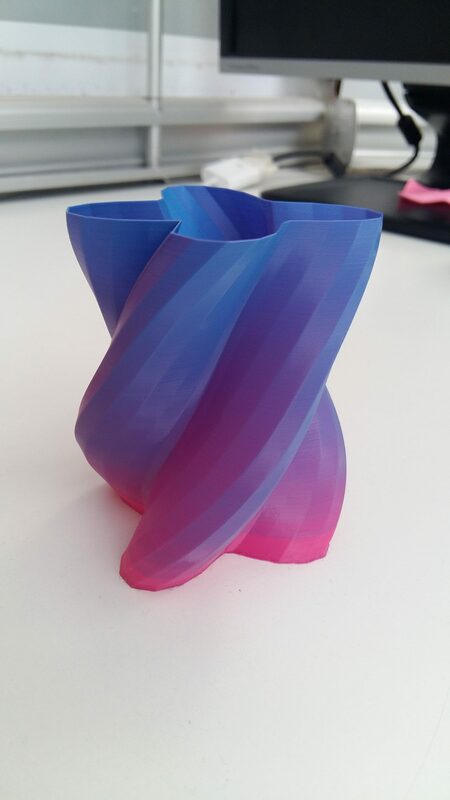 A value of 1 means that we are only using the left extruder, a value of 0 only the right one and a value in the middle that we are mixing colors. Then, in case we will use T3, we will need a variable to take care of the right extruder: so let’s add the A parameter under the E one to the GcodeGenerator class. Now we will write a method which specifies which extruder we want to use. and we will call it before starting extruding a new path. 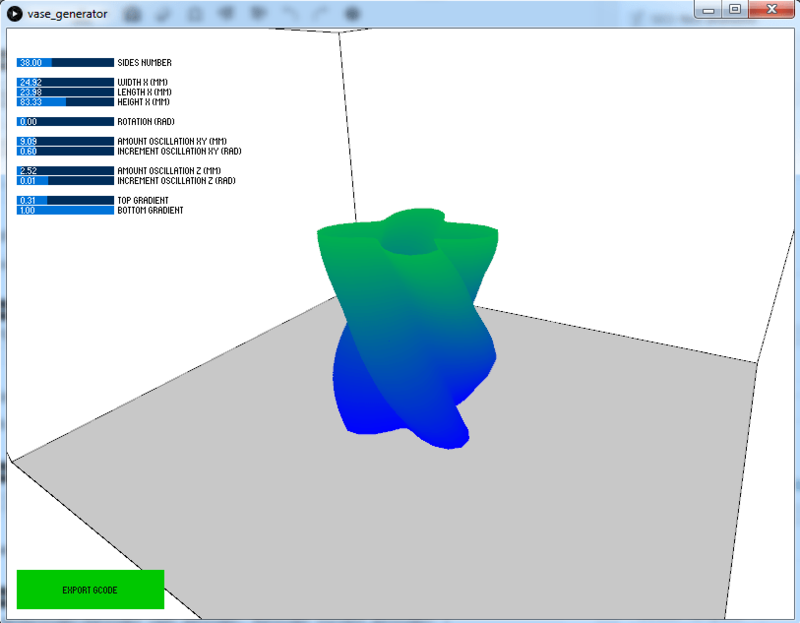 We have also created a new variable last_extruder that remembers the last extruder used. In order to know which extruder we want to use, we need a method that returns the necessary extruder out of the desired gradient. It works! As usual, you will find all the code on GitHub. As you might have notices, we have created a code that allows us to make smooth transitions of color. If we want to have different changes we will need to add a cleaning artifact, like a tower or a brim. This might be the topic for a future tutorial.